The Slowly Boiled Frog: "Transgenderism is leading us towards totalitarianism"
"Transgenderism is leading us towards totalitarianism"
These people are leading me to a headache. People espouse this nonsense and they do not expect to be ridiculed? 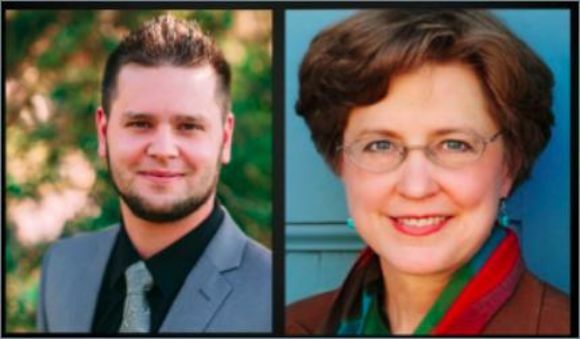 We are informed that: “Nancy Pearcey has been called America’s ‘preeminent evangelical Protestant female intellectual.’” We are about to explore her intellect as she joins fundamentalist Catholic Jonathon Van Maren for a chat. I am quoting from the accompanying text describing the conversation. Pearcey and Van Maren discuss the deeply-rooted philosophical arguments underpinning the transgender movement, how it exploded in less than a decade, and the dangers it poses to our society. Very intellectual. Being transgender is not a philosophy or doctrine. It is a state that results from a medical condition. If there is a danger it is the one posed to transgender people by the knuckleheads who spread anti-trans drivel like this. Because of ignorance and stupidity transgender people are far more likely to experience violence than cisgender people. She spends some time discussing the coercion of speech and how that creates a totalitarian system. “You can eventually control their thoughts because you’ve robbed them of the language to express their true belief.” The totalitarian system is already in Canada and it is making its way to the States. What on earth …? What we expect of people is to treat others with common courtesy. Transgender people have the right to be referred to by the pronouns that they prefer. People have every right to be boors and to misgender others. They do so in the guise of telling the truth. It's nothing of the sort. It is just pretext for expressing disapproval. These people are determined to express disapproval wherever they see it in the belief that they are defending the faith. What they are really defending is vulgar incivility. Now, were I to come out of retirement and become a CEO again and an employee were to misgender a customer or a fellow employee then the progressive discipline process would be initiated. A second time and they would be escorted out the door by security. That is my right as an employer. Schools and universities have that same right in regards to how employees treat students. It is compelled speech but it is perfectly permissible. Even in the public sector it is permissible (Garcetti v. Ceballos, 2006). Get a grip intellectual lady. People become transgender to mitigate the effects of incongruent gender (gender dysphoria) which can cause immense suffering. There is no known treatment for gender dysphoria but gender confirmation allows people to function normally. More so were they not the objects of unjustifiable ridicule and violence. There is absolutely no connection between abortion and gender identity. That notion is preposterous. That concludes the descriptive text. I choose not to listen to the audio for obvious reasons. It's bad enough that these people are batshit crazy but they are intent on subjecting others to their irrationality. Gender dysphoria is not contagious but intolerance and ignorance spread like viruses. Oh, and whoever called Ms. Pearcey a preeminent intellectual does not know the meaning of either word.